Torres Natureo Rose is a popular Spanish Rose Wine available from Waitrose Cellar in 75cl to buy online. Visit Waitrose Cellar for the best price for 75cl of Torres Natureo Rose or compare prices on our other Spanish Rose Wine products. Penedès is a Mediterranean coastal region just a few miles west of Barcelona in Catalunya. It’s the largest wine-producing region in Catalunya and the birthplace of Cava, Spain’s sparkling wine.Penedès is one of Spain’s Denominación de Origin (DO) regions, a classification similar to the French AppelationControléedenoting high quality wine made in a specified region. The region is split into three sub-zones all with slightly different microclimates: the Penedès Superior is near the inland mountain range;the PenedèsMarítim is between the sea and the coastal hills and Penedès Central is the plain between Penedès Superior and Penedès Marítim.Although Spain tends to focus on native grapes, the past few decades have seen the introduction of international varieties. Red grape varieties that flourish in Penedès include Cabernet Sauvignon, Syrah, Merlot and Monastrell. When it comes to white grapes, Chardonnay, Riesling, Paradella, Sauvingon Blanc and Macabeu dominate. Less than 0.5% alcohol. 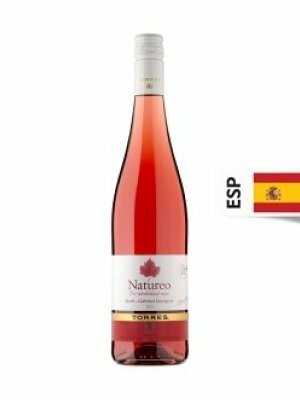 Where to buy Torres Natureo Rose ? Torres Natureo Rose Supermarkets & Stockists. You can buy Torres Natureo Rose online in most retailers and find it in the Spanish Rose Wine aisle in supermarkets but we found the best deals online for Torres Natureo Rose in Waitrose Cellar, TheDrinkShop, and others. Compare the current price of Torres Natureo Rose in 75cl size in the table of offers below. Simply click on the button to order Torres Natureo Rose online now.